Juvederm is one of several types of dermal fillers. Dermal fillers work just like they sound they might–by filling in areas that have lost volume. Each type of dermal filler has an area of the face it works best in. JUVÉDERM® XC helps to replace lost Hyaluronic Acid and smooth out moderate to severe wrinkles and folds, especially those around the nose and mouth. This strong filler can last up to one year. JUVÉDERM® XC is an FDA-approved injectable gel that has helped many men and women reduce the appearance of smile lines. Some people may combine this dermal filler with other dermal fillers or botox in other areas of the face to create a more comprehensive facial rejuvenation. To learn more, contact our office to schedule your consultation today. If you're not happy with the appearance of your skin, whether it be acne scars, sun spots, or wrinkles, you may benefit from the microneedling procedure this spring. Read on to learn more about this safe and effective skin rejuvenating procedure. Having trouble losing weight? Stop blaming yourself - it could be your hormones. Even a small change in some hormones can make it a lot harder to lose weight and keep it off. Here's how we can help. Under-chin fat can make your whole face look puffy and fat, even if the rest of your body is slim. SculpSure melts away fat - for good - without damaging other tissues so you can enjoy a slimmer, sleeker profile. If you’re considering how to best banish areas of fat that don’t respond to fitness and diet, you may be thinking about liposuction or SculpSure®. Read on to learn about the differences and find out why SculpSure is better. Going to the gym isn’t enough anymore, as Father Time has taken a toll on your physique -- and your face. Do you have to “man up” and just live with the signs of aging? Can ReShape® Gastric Balloons Help You Lose Weight? 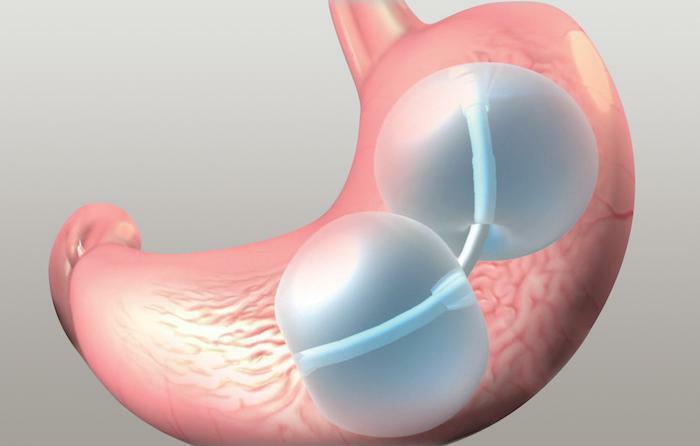 The ReShape® gastric balloon offers an effective, surgery-free way to help you lose weight. When it’s inserted in your stomach, you feel full sooner and control your hunger. Take a minute to learn all you need to know about ReShape.